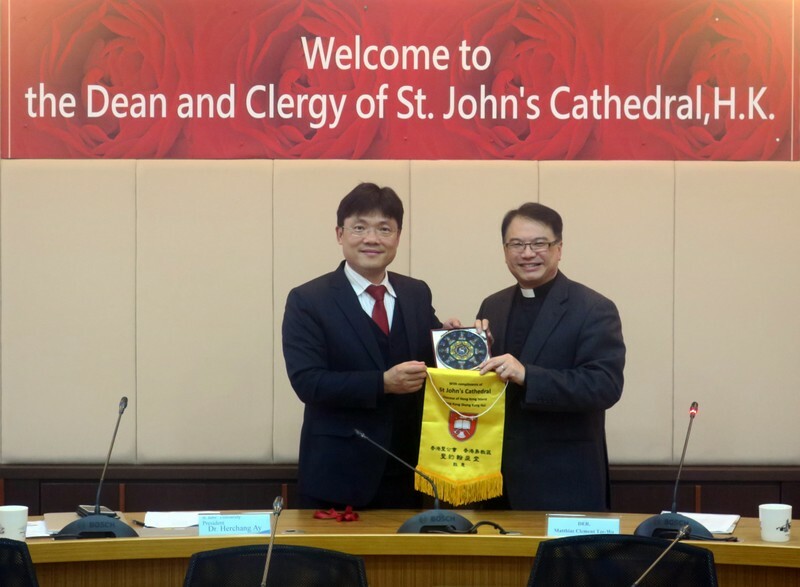 Welcoming the Dean and Clergy of St. John’s Cathedral, Hong Kong! After an hour of blue sky and sunshine last Saturday, the sun sadly gave up and has never been seen since. It is a completely wet, cold and horrible week. But kinda normal for this time of year. Do not come to visit in winter! 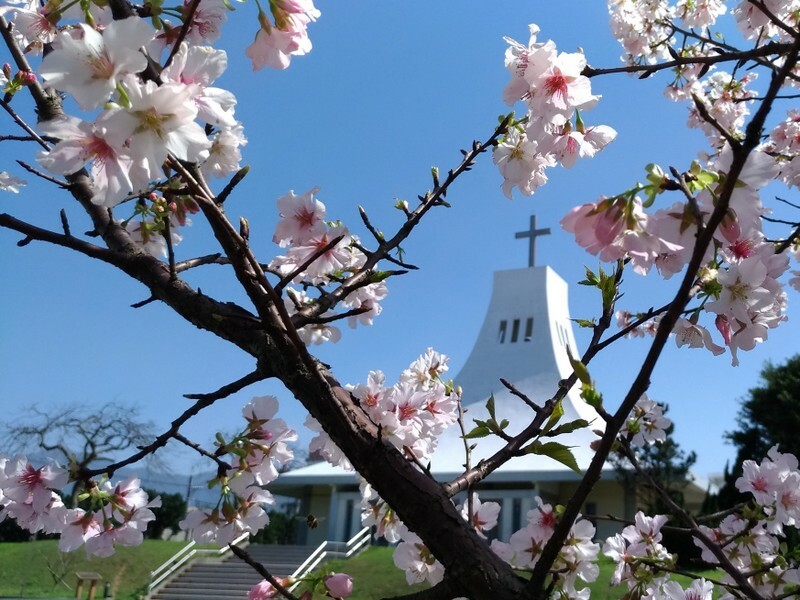 Unless you are hardy and strong and very cheerful, like most Taiwan people or our eleven lovely visitors from Hong Kong (HK), namely the dean and clergy of St. John’s Cathedral, who are visiting northern Taiwan all this week. They’re spending the week smiling, enthusing, encouraging and really enjoying themselves, hey, they seem to be having a great time, despite the weather! The dean, the Very Rev. Matthias Der 謝子和, grew up here in Taiwan, when his father, Rev. Edmund Der 謝博文 was the vice-principal at what is now our St. John’s University (SJU). The senior Der parents visited us at the end of April last year for the SJU 50th anniversary celebrations (see here). So a triple blessing for us, 3 Ders in 9 months! 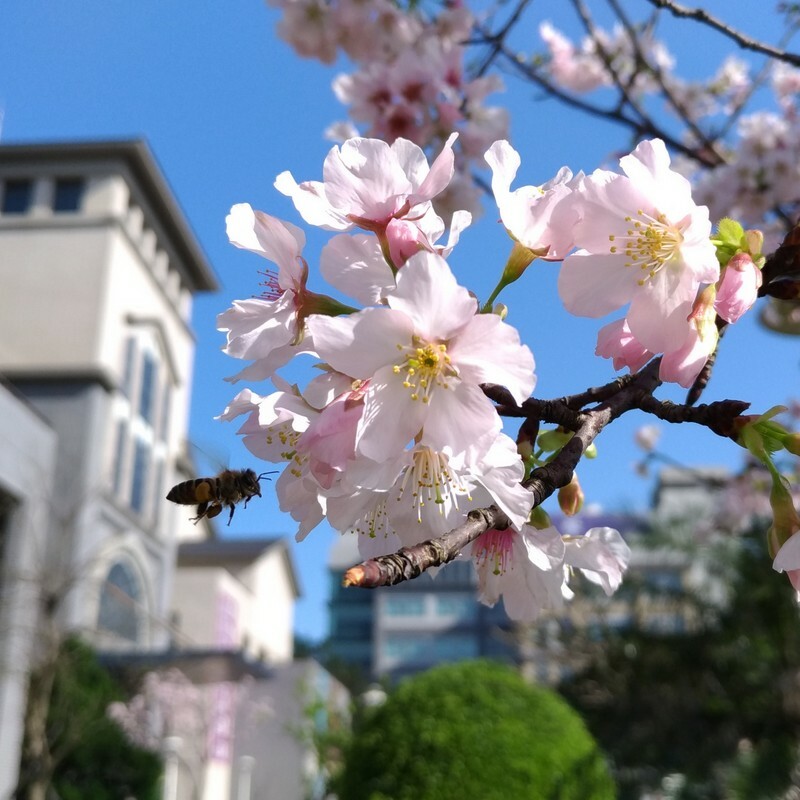 Every year, about this time, the dean and clergy of St. John’s Cathedral, HK go on a short study tour to interesting places, and this time, Dean Matthias has brought them all to Taiwan ~ yippee! They have a packed programme, visiting our churches and sightseeing. And the weather forecast all week is…. guess what? Rain. Yes, rain. All week. And cold. And horrible. But y’know, they’re a very happy group, and yesterday on their visit to St. John’s University and Advent Church, well we had such a good time together. Sharing about what we’re doing here in university and church, and hearing all about St. John’s Cathedral, Hong Kong ~ oh, and presenting gifts too. This is SJU President Peter Herchang Ay (left photo) and Advent Church rector, Rev. 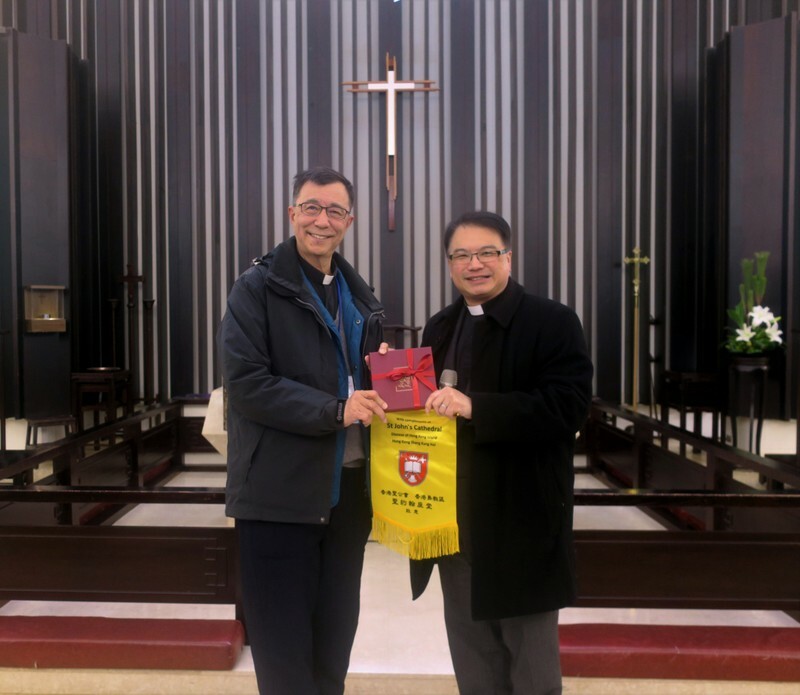 Lennon Y. R. Chang (right photo) with Dean Matthias receiving gifts from St. John’s Cathedral, Hong Kong. Y’know what? St. John’s Cathedral, HK has 7 (yes seven!) 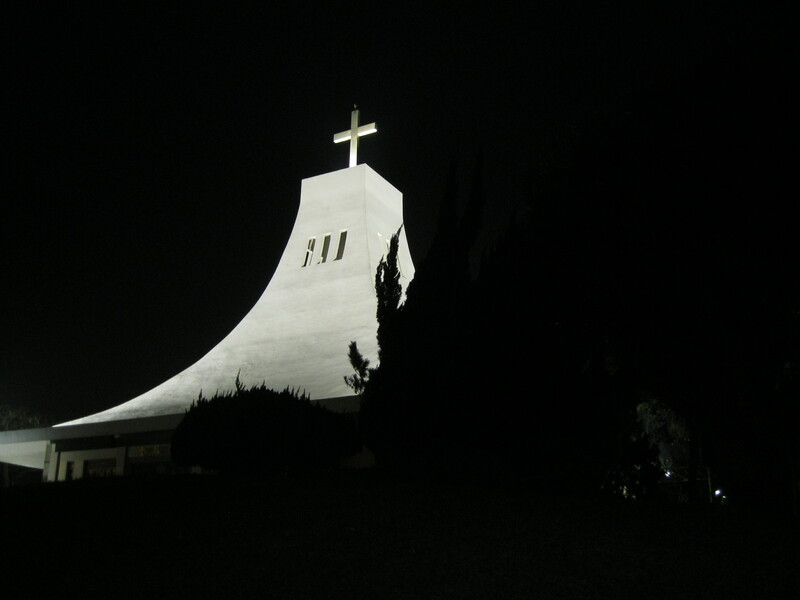 services at their cathedral over Saturday night and Sunday, and their Sunday main service at 9:00 am gets 700 people. And all the others together add up to over 2,000 people. That is quite some number, believe me. 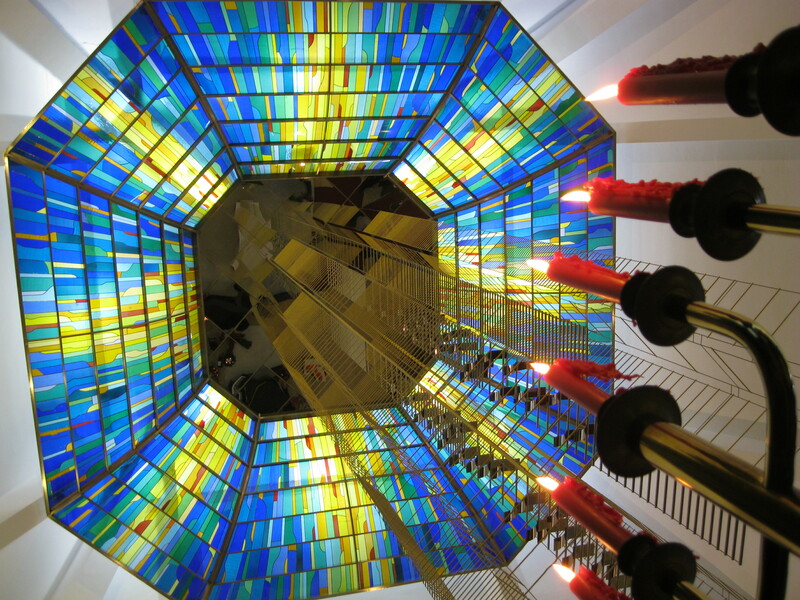 In fact, it’s about double what the whole of the Episcopal Church in Taiwan gets on a Sunday in all our churches put together. How’s that for a challenge, eh?! Anyway, they have lots of clergy, some also with responsibilities for daughter churches and they all come from all over, Philippines, Australia, Canada, Hong Kong and UK. 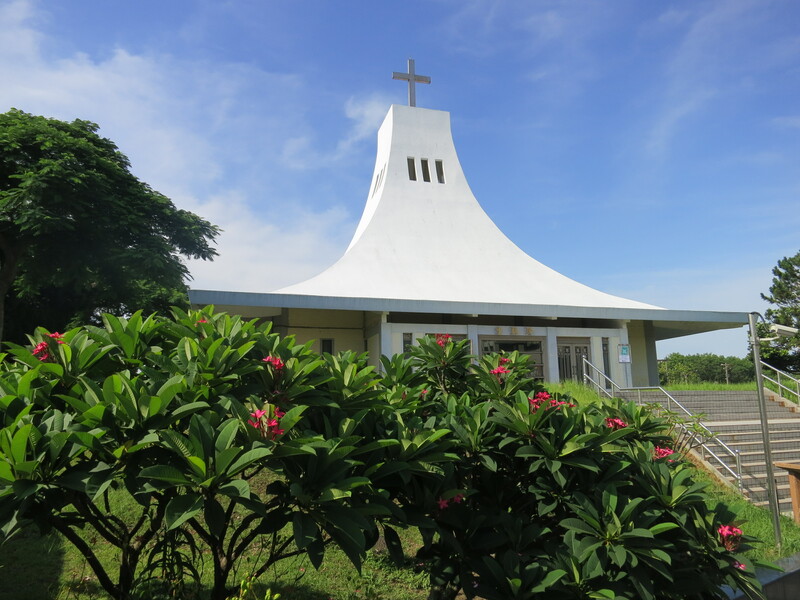 Before we left for dinner with our church council members in the restaurant in Tamsui, we took them to visit Advent Church…. So to our wonderful visitors from Hong Kong ~ a very big and very warm welcome to Taiwan!